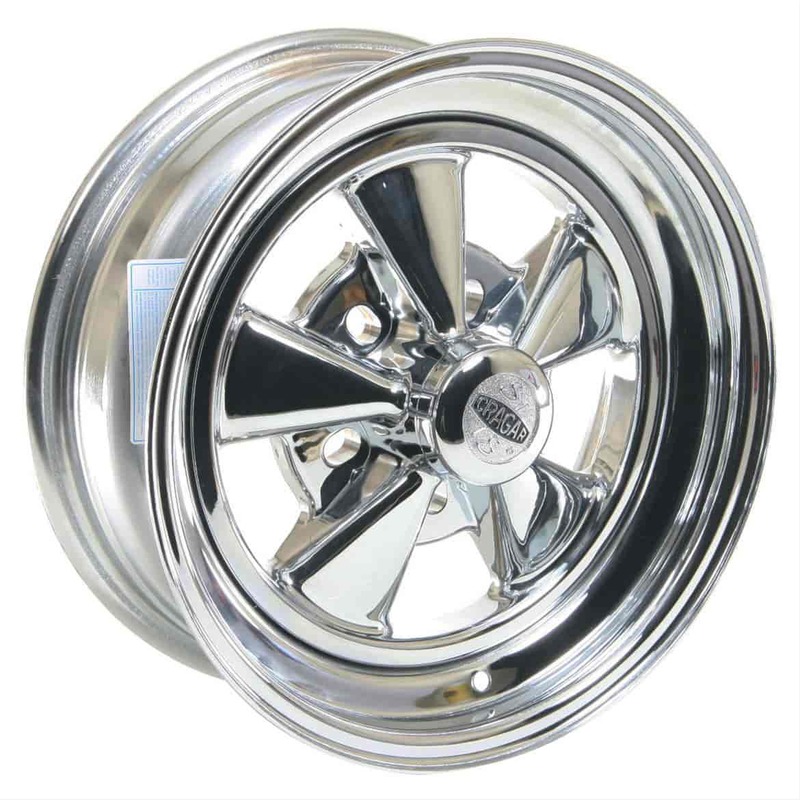 Raceline Wheels 65C-56005 - Allied Wheel 65 Series Super Spoke Wheel 15" x 6"
The most popular custom wheel design ever, since its creation by Roy Richter in 1964, the Cragar S/S rim has long been a muscle car necessity. This two-piece composite wheel has a chrome-plated steel rim welded to a chrome-plated aluminum center. Jegs carries many wheel sizes and bolt patterns, including direct drilled Cragar S/S Super Sport Wheels. Wheel and Tire packages are available with all our wheels, call Jegs today to inquire about adding tires. 61615 is rated 5.0 out of 5 by 2. Rated 5 out of 5 by mike1966 from New Crager SS Always wanted Cragers for my 66 Mustang, really looks sharp!! Are centering rings/adapters necessary with these wheels? Not is most cases, it may be necessary in some applications. at -3 mm &amp; 3.38 backspacing does this rim set the tire centerline further out board or inboard than a rim measuring 2.38&quot; backspacing? It will sit the wheel inward under the car further. Will these fit a 1964 corvette with drum brakes all around? Do they bolt directly to the wheel studs? Will this rim fit a 1995 cadillac sedan deville with the built in skurt, and front wheel drive? No, these wheels will not work for that app, those cars have a 5 lug by 4.53 inch pattern and need a High Positive Offset of 115mm.